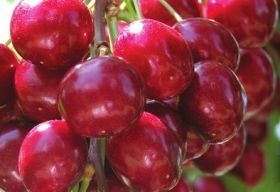 The Northwest Cherries' 22-person Field Estimate Team has compiled a first round projection for the 2018 Northwest fresh sweet cherry crop, forecasting the production of 226,605 tonnes of fruit, or 22.61m boxes. This is down on the the bumper 26.43m-box total from 2017, although the first-round estimate is the one that can vary most from the final result. "Spring spread slowly this year, and not all of our orchards are far enough along to determine how much of their crop will remain on the tree until harvest, the team noted. "These 'drops' are taken into account in our subsequent estimates." Despite a few weeks of cool weather in the earlier regions, overall the industry is expecting a strong start to the Northwest crop in June. "The Yakima Valley had an earlier start to the year, and have maintained that heat advantage," the team continued. "Given that, we expect to see both regions begin picking along similar timelines which in turn should make more fruit available to retailers from the outset. This should be welcome news to retailers, who are hungry to ramp up their cherry dollars for the summer. "Note that the later-producing districts like Parkdale, Brewster Flats and Wenatchee Heights are considerably lower than the earliest regions," they added. "In fact, the separation between early and late bloom is as large as we’ve seen in a decade. This strengthens the likelihood that we’ll see a solid late season opportunity this year."